A depiction of the SpaceX DragonLab™ - a free-flying, fully-recoverable, reusable spacecraft capable of hosting pressurized and unpressurized payloads. Private spaceships could be safe enough to transport astronautsto the space station, a group of 24 former NASA spaceflyers told Congress in anopen letter this week. The astronauts argue in favor of a newplan by President Barack Obama to encourage commercial companies to buildspacecraft capable of replacing the space shuttles as NASA's means to reach theInternational Space Station. "We believe that the private sector, working inpartnership with NASA, can safely develop and operate crewed space vehicles tolow Earth orbit," the astronauts wrote. The letter, sent to members of Congress including Sen. BarbaraA. Mikulski (D-Maryland) and Sen. Bill Nelson(D-Florida), was signed by former astronauts such as Apollo astronaut RustySchweickart and BuzzAldrin, the second man on the moon. Former space shuttle flyer John"Mike" Lounge, another signatory, said the letter was motivated inpart as a response to critics of the Obama administration plan who argue thatspaceships built by private companies would not be safe enough to trust forflying NASA astronauts. "It was a reaction to some ofthe letters you?ve seen out there ? to kind of show there is another opinionamong people who have flown in space," Lounge told SPACE.com. He said privatecompanies are just as capable as NASA of designing safe, reliable spacecraft ?in fact, he pointed out, all NASA spacecraft have been built by commercialcompanies, simply contracted by NASA. "The main thing we were trying to make a clearstatement on, was that the safety of a system isn?t so much a function of whoowns it, so much as what it is, and that simple systems are safer than complexones, and simple missions are safer than complex missions," Lounge said. In the letter, the astronauts point out that the U.S. AirForce routinely depends on commercial rockets to launch satellites critical tonational security. Furthermore, commercial rockets such as the Atlas 5 andDelta 4 have proven their reliability over dozens of successful launches. "Commercial space workers and managers care aboutsafety just as much as those working at NASA," the astronauts wrote. "Many commercial space workers have come from our Nation?s space programand have deep historical knowledge and understanding of the safety issues forhuman spaceflight, and former astronauts are deeply involved in theengineering, manufacture, and eventual operations of commercialcrew vehicles." The Obama plan for space got a new boost today when theSenate's Commerce, Science and Transportation committee passed a NASAauthorization bill largely based on the new proposal. The bill includesfunding to encourage the building of private spaceships, and also endorses PresidentObama's plan for NASA to focus on designing more ambitious heavy-lift rocketsto carry astronauts beyond low-Earth orbit to an asteroid and Mars. Finally, the bill added funding for a third and final spaceshuttle mission in 2011 before the three-orbiter fleet is retired for good. Some criticized the new bill because it decreased the moneyallocated for commercial space from President Obama's original proposal.Instead of about $3.3 billion for private spaceships over the next three years,as President Obama requested, the new bill offers only $1.6 billion over thatsame time period. 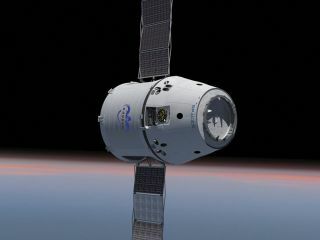 Some lawmakers are proposing an amendment to add back some ofthe missing funds for commercial spaceflight. Lounge said the key elements of the Obama plan arepromising. "I think obviously there's something broken with the traditionalapproach because we are faced with this gap of U.S. capability" to fly tospace after the shuttles retire, he said. "So we've got to do somethingdifferently. This is a way to leverage private company innovation andinvestment in a way that lets NASA put its limited resources into thecomplicated missions." He argued against critics who say the new plan is a stepdown for U.S. preeminence in space exploration. "The new direction is not a retreat from human spaceflight? it is the future of human spaceflight," Lounge said. "If we don?tfind a way to do this in a robust way that?s affordable, that's open to newtechnology, open to commercial participation, even open to international participation? I see no way that it's sustainable." POLL: Will the Senate's New NASA Authorization Bill Deliver?